Fighting the air-land battle has been a problem for Western air war strategists and forces planners alike over the last three decades. This period has seen technological changes of major proportions in battlefield air defences, in aircraft and in munitions and as a result, there is considerable disagreement over what is actually the best strategy to pursue. Historically the first air force to seriously structure about the air land battle was Germany's Luftwaffe. It deployed the Junkers Ju-87 Stuka well before WW2. A precision but short legged dive bomber, the Ju-87 performed exceptional service in the opening phases of WW2, hitting battlefield targets identified by Wehrmacht ground commanders. In this sense it was the first true Close Air Support (CAS) aircraft. Germany had committed itself to the strategy of Blitzkrieg, reflecting continental land warfare strategy of the twenties and thirties, to that effect it build up significant tank and armoured personnel carrier strength, and structured the Luftwaffe tactical forces accordingly. The strength of the Luftwaffe lay in its fast twin engined medium range bomber force which was designed to attack battlefield staging areas, communications and other essentially tactical targets. Used in this role it performed exceptionally well. Where it failed to perform well was in the air war against Britain, which was somewhat more strategic in scope. The role of the Heinkel He-111 and Dornier Do-17 is what is classed today as Battlefield Air Interdiction (BAI). The Luftwaffe is an interesting case study for various reasons, but in this instance it usefully illustrates the first force structure build around CAS/BAI. Western air forces have traditionally seen their role as strategic and have never seriously structured for CAS/BAI. WW2 saw CAS operations flown by RAF Typhoons, Hurricanes and Spitfires and US Army P-38s, P-47s and P-51s. All of these aircraft were however initially air superiority aircraft and even if later dedicated operationally to CAS, suffered in restricted payload and vulnerability to ground fire. Operationally CAS involved a technique not unlike that pioneered by the Germans, with ground observers calling in strikes against targets offering resistance to advancing armour and infantry. The Pacific theatre largely reflected Western strategy in Europe, moreso in that much of the CAS and interdiction work was done by carrier based forces equipped by default with fighters and dive bombers. The Russians, always ready to emulate the Germans, structured their tactical air forces almost exclusively about CAS and BAI aircraft. The Il-2 Shturmovik, Pe-2 and Tu-2 all reflected this philosophy and formed the backbone of Russia's tactical air forces until the late 1940s. During the Korean war Western air forces flew a a great many CAS/BAI sorties, the by then obsolete F-51 being the mainstay of the Allied effort, but nothing new was attempted in the area of CAS/BAI strategy or technology. The late 1950's saw CAS drift out of sight, as Western air forces spent heavily on strategic and tactical nuclear strike capabilities. The USAF TAC had by the early sixties structured its force about F-105s and planned F-111s, both types designed to deliver internally carried nuclear bombs against theatre targets. Armageddon was first and foremost in the minds of force planners. Only the US Marines, by role committed to amphibious assault, maintained a serious CAS capability with squadrons of naval tactical aircraft. 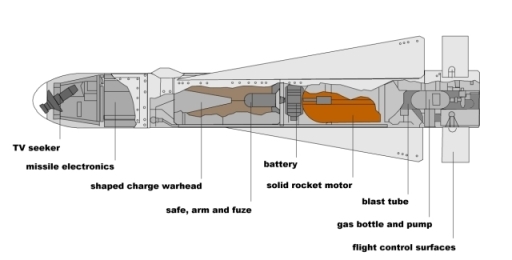 The Russians also spent most of the fifties building up nuclear capabilities, but quickly recognised the potential of theatre tactical ballistic missiles with nuclear or chemical warheads. By the sixties a comprehensive warfighting strategy was formulated, which involved initial nuclear missile strikes against theatre targets, followed up by massive armoured thrusts into the devastated territory. All tanks and personnel carriers became nuclear-biological-chemical (NBC) warfare capable. Pockets of resistance would be annihilated by air strikes, the primary role of the Frontal Aviation (FA VVS). To some degree this strategy made a virtue out of a constraint, as the principal tactical fighters of the day, the MiG-21 Fishbed and Su-7 Fitter, lacked the payload radius performance for any other role than CAS and BAI. The US involvement in Vietnam was a major milestone in the development of Western CAS/BAI strategy. The Americans had to quickly relearn the lessons of Korea and WW2 and in doing so laid the foundations of much of today's operational practice and tactics. Initially CAS operations involved the VNAF supported by US advisers, flying a motley collection of WW2 and fifties piston aircraft. The T-28B/C and the B-26 (A-26 for the traditional) were without doubt the workhorses of the early campaigns, but these aircraft had severe payload radius limitations, a growing structural fatigue problem and their response times in the remoter areas were unsatisfactory, given the slow transit speeds. The elusive enemy may have disappeared into the jungle by then. After several T-28s shed their wings pulling out of dive bombing runs, the US replaced them with 25 dual control A-1E and a number of single seat A-1H Skyraiders, drawn from inactive stocks in the US. These sturdy naval strike aircraft served for the duration of the conflict and ultimately played a major role in the formulating of a formal CAS strategy. As the war escalated through the sixties, the Americans deployed newer and newer hardware. Early entries were two squadrons of B-57s, a US derivative of the Canberra. These were shortly followed the F-100 Hun, by then clearly obsolete as an air superiority aircraft. By late 1965 a further five F-100 squadrons were assigned to South Vietnam, supported by Marine Corps F-4B Phantoms and TAC's 12th TFW with its F-4C aircraft. 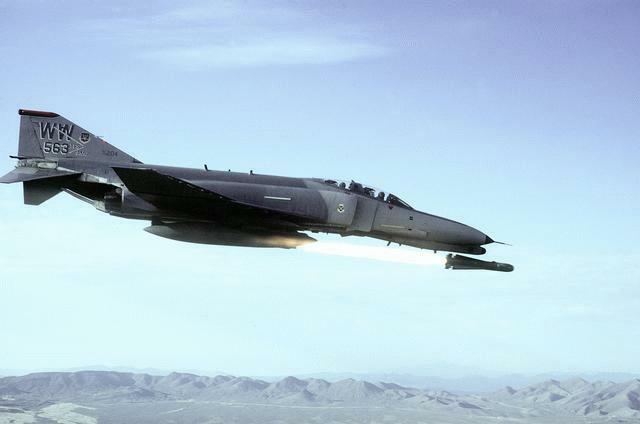 The tactical jets carried substantial payloads, offered rapid response times and were fast enough to avoid fire from VC and NVA automatic weapons and AAA. But their speed over the targets, often small and hidden, severely penalised accuracy. While the piston fighters could turn at low level and keep their targets in sight, the tactical jets were too fast. Tactics had to evolve and as a result, increasing use was made of former Army Cessna O-1 Birddog Forward Air Control (FAC) aircraft. Fitted with white phosphorus 'Willie Pete' rockets and flown by experienced USAF pilots, these frail aircraft skimmed the tree tops searching for VC targets, calling in tactical jets and then marking the targets with rockets. Underpowered and vulnerable to small arms fire, the tiny Cessnas suffered high casualty rates. It was clear by the end of 1967 that more capable FAC aircraft were needed and the O-1 was superceded by the larger and faster Cessna O-2A, better known to most readers as a Milspec C-337 Skymaster. The beginning of 1968 also saw the debut of the Rockwell OV-10 Bronco, a sturdy twin boom light CAS aircraft which soon assumed an important role in the South, flying both CAS and FAC sorties. As the war escalated, the intensity and radius of operations increased. The Ho Chi Minh trail, a massive communist resupply zone, came under increasing USAF scrutiny. While it is beyond the scope of this discussion, it is worth noting that trail interdiction missions forced a whole range of innovative technological developments such as night vision equipment, remote acoustic intrusion sensors and even direction finding receivers to track the interference from automotive ignition systems. By 1970 most strikes were flown by tactical jets, relying upon FAC aircraft, with the piston A-1s flying largely special operations work in support of heliborne troops. The principal munitions used were napalm and white phosphorus incendiaries, iron bombs, the then new cluster bombs and unguided rockets. Accuracy was not always spectacular and a high standard of airmanship was required to avoid hitting friendly troops. The Spring Offensive in 1972 saw a major change in the nature of operations, when the NVA deployed over 500 T-54, T-34 and PT-76 tanks. These were small hard targets which largely resisted the anti-personnel munitions in use until then. It was at this time that interdiction of NVA supply routes within the Ho Chi Minh trail and South Vietnam assumed the character of modern BAI operations, as the communists fielded shoulder launched SA-7 Grail SAMs, a wide range of AAA weapons of substantial calibre and in some areas, even large SA-2 Guideline SAMs. A key weapon in the battle was the new Texas Instruments Paveway I laser guided bomb, which was used against bridges, rail communications and supply depots in the North, and against supply depots and armour in the South. Openly exposed columns of tanks and trucks were destroyed by TAC fighters en-masse, halting the flow of men, munitions and weapons to the battlefront. 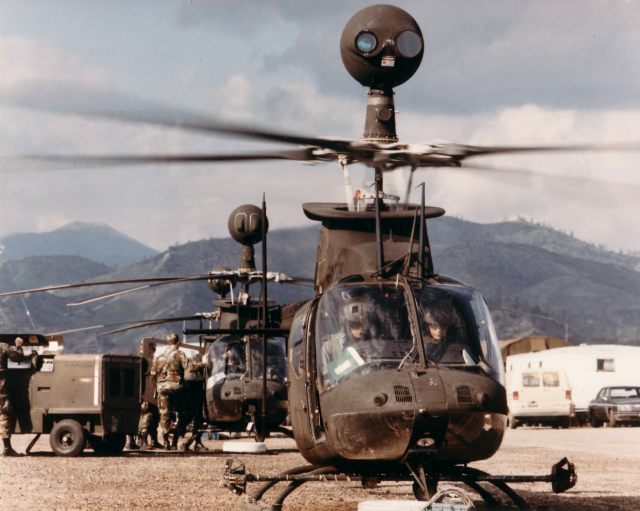 The battlefront itself saw the debut of another weapon destined for a long career - the TOW optically tracked wire guided antitank missile, fired from several hastily fitted UH-1B assault helicopters. As the NVA offensive ground to a halt and eventually reversed, the operational philosophy consolidated and the US began to seriously reconsider how they would fight any battle in Europe. The experience gained in crushing the very Russian style of massed armour assault carried out by the NVA indicated that a two pronged strategy would be most practical - missile firing helicopters and dedicated tank busting CAS aircraft for immediate CAS and precision guided munition (PGM) carrying tactical jets for BAI. This philosophy has persisted until the late eighties and continues to have strong support from the US Army who consider it best suited to their needs. The principal new element in the CAS strategy was the Fairchild A-10 Thunderbolt II. TAC had come to the recognition that an aircraft with the payload and manoeuvring performance of the A-1 but with turbofan propulsion, substantial armour and dedicated tank killing weapons was a must, as early as 1966. In 1970 Northrop and Fairchild were contracted under the A-X program to build two competitive designs, aircraft with the ability to carry 12,000 lb of payload on full internal fuel and with substantial resilience to ground fire through armour and systems redundancy. The A-10 defeated the Northrop A-9 in 1973, with production commencing in 1975. The A-10 is a large 24,000 lb empty weight aircraft powered by two TF-34-GE-100 9,000 lb class turbofans, cruising at 345 kt and limited to 450 kt. Its only internal weapon is a massive 7 barrel 30 mm GAU-8 gatling gun firing high velocity depleted uranium core shells. The pilot sits in a titanium armour tub, while most vital systems are armoured and redundant. The fuel system uses polyurethane foam to reduce the hydrostatic shock of direct hits and rigid foam is applied around the tanks to prevent external fires from reaching the 10,650 lb of fuel. The engines are wide apart and their exhausts shielded from short wavelength heatseeking SAM seekers by the horizontal and vertical tail surfaces. The big wing of the A-10 is designed for tight turning at low level, allowing a sustained 2,600 ft turn radius at 300 kt, zero flap and 3,000 lb of payload. This also translates into the ability to operate from poor quality forward deployed strips as short as 1,200 ft at 30,000 lb. Eleven stations allow the carriage of up to 16,000 lb of payload, keeping within the MTOW of 45,560 lb. The A-10 is very much the mud basher's dream. The deployment of the A-10 during the late seventies was welcomed by many, but was also not without criticism. The Israeli experience of 1973 was fresh in the minds of many observers. The Yom Kippur saw over one hundred Israeli tactical fighters destroyed in a matter of days, when they attacked Arab targets covered by heavy concentrations of SA-6 radar guided SAMs and ZSU-23-4P 23mm AAA systems. TAC's response to the threat of Russian SAMs developed as the tactics of operating the A-10 were defined. It was soon evident that conventional tactics would expose the aircraft to SAMs and AAA, and the operating environment was soon constrained to well below 500 ft AGL. At these altitudes the A-10 would exploit terrain masking to remain below the visual and radar horizon of hostile air defences, popping up only briefly to acquire and fire at a target. Typical high noon engagement scenarios between the A-10 and SA-8 or ZSU-23 described in the seventies involved a rapid pop up to over 1,000 ft, acquisition of the SAM/AAA system and the firing of the 30 mm gun, followed by an immediate dive to low level, all accomplished in less than the acquisition and tracking time of the defending SAM/AAA system. To aid in acquiring such targets, the A-10 was fitted with the Pave Penny laser spot tracker, which projects a spot on the HUD where the laser illumination by ground observer or other aircraft marks the target. To reduce visual detectability the USAF soon discarded the two tone air superiority grey and after brief experimentation with various mottled camouflages, settled on a wraparound green/dark green/grey European One scheme. Munitions were another area of evolution. While initially iron bombs and cluster bombs were preferred, these were soon supplanted by laser guided bombs and TV/infrared guided AGM-65 Maverick missiles. The most recent addition to the inventory are balloon retarded 2,000 lb Mk.84 bombs, designed for level release at very low altitudes. 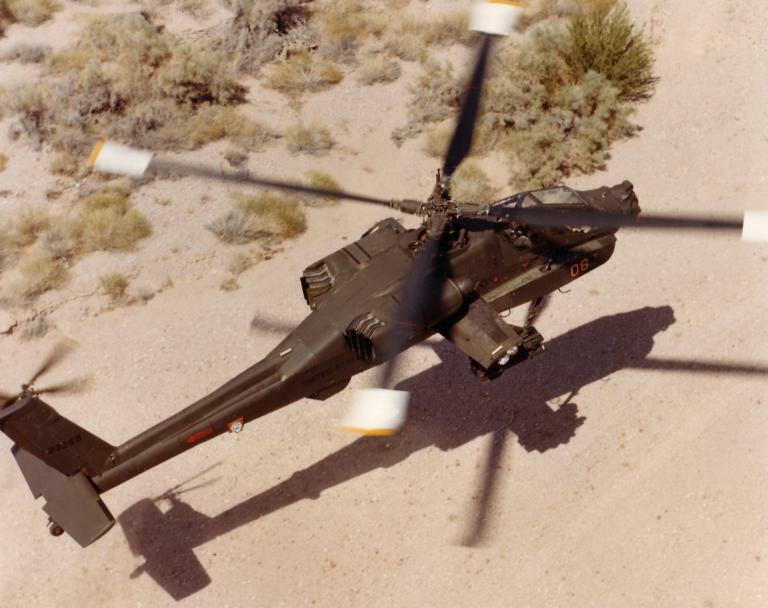 Operations in the European theatre are largely coordinated with the US Army, who will employ their AH-1S Cobra and AH-64A Apache attack helicopters in nap-of-the-earth (NOE) tank killing operations. The AH-64 fires laser guided Hellfire antitank missiles, while the AH-1 force carries both the Hellfire and older TOW missile. The division of labour involves the helicopters operating below tree-top altitude, with the A-10 working from treetop level up to 500 ft AGL. In theory the helos would approach and ambush advancing armour, providing defence suppression fire for the inbound A-10s. With large payloads of heavier weapons the A-10s would then inflict maximum damage. This philosophy relies largely upon laser designation of targets for both missile attacks and A-10 strikes. It is however limited very much to daytime operations due to the absence of night vision systems in the A-10. At this time it appears that this philosophy has reached the end of its effective usefulness. The last half decade has seen the deployment of the mobile radar guided SA-11 Gadfly and newer SA-6 derivatives, both capable of hitting targets in ground clutter, supplemented by all aspect heatseeking SA-13, SA-14 and SA-16 SAMs. With monopulse radar seekers and sophisticated infrared seekers these missiles are quite difficult to jam and manoeuvre is often a necessary supplement to defeating these weapons. The low and slow A-10, devoid of internal ECM, is likely to sustain high loss rates if engaged by these weapons. The USAF response has been to the role of the A-10 toward armed FAC for fast moving tactical jets. AGM-65D IIR Maverick launch from F-4G Wild Weasel variant (US Air Force). BAI has also made significant strides since the 1970s. A major gain was the introduction of the agile F-16 to supplement and later replace the ageing F-4E fleet. With superb manoeuvring performance, good payload range and accurate nav attack, the F-16 is a potent strike fighter. Where it missed out was in its lack of night vision equipment and laser designator. This has now changed with the deployment of the Lantirn pod set. Lantirn was initially meant for the F-16C and A-10, but as the A-10's survivability declined in the eyes of TAC, the pods initially assigned to the A-10 were allocated to the new F-15E Strike Eagles. The Lantirn pod set is comprised of a Navigation Pod containing an advanced J-band terrain following radar and navigation Flir projecting on to the HUD, and a Targeting Pod with a two field of view Flir boresighted with a laser designator/rangefinder. By fitting two pods to an F-16C/D it acquires a penetration capability much like that of dedicated bombers such as the F-111 fitted with Pave Tack. 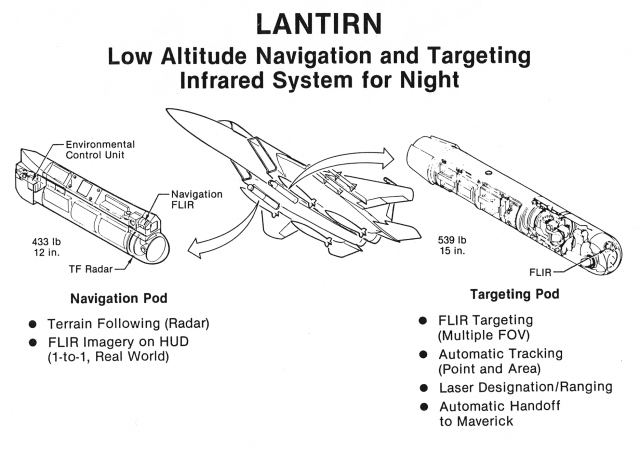 The implications of Lantirn are significant, as it exposes Warpac ground forces to BAI strikes around the clock in all weather conditions, while releasing the F-111s and F-15Es previously committed to battlefield strikes for deep interdiction missions. The US Army however demands a significant CAS capability be available for its land forces and has strongly resisted the USAF's attempts to phase out the A-10. The USAF response to the declining survivability of the A-10 has been to open discussion on the subject of CAS/BAI with the view that the two roles should be merged and preferably flown by one aircraft type alone, carrying specific weapons for specific missions. BAI would be flown by Lantirn equipped F-16s and CAS by A-16s with dedicated night vision equipment and 30 mm gunpods. In the context of winning an air battle, the USAF strategy is superior in that the F/A-16s inherently retain excellent air superiority performance and thus could be flexibly tasked with air superiority, air defence, BAI and CAS missions. This would allow a theatre commander to concentrate air assets as required and as we all know concentration tends to win air battles most effectively. The USAF position is further reinforced by an interest in keeping the F-16 production line open until 1997, when ATF (F-22/23) deliveries commence. This approach is however exactly what the Army seeks to avoid, as at that instant that specialised CAS assets are replaced by multirole assets, the Army can never be certain that aircraft will be available for CAS when it needs them. In addition, the pilots who fly only tree top altitude CAS are likely to be more proficient at it, than knuckleheads who would much rather be stencilling red stars under their cockpits. By insisting on dedicated CAS airframes the Army is attempting to guarantee both the availability of airframes and of specialist aircrew. The political fallout from this disagreement has provided politicians and bureaucrats alike with ample fodder, with the resulting increase in the complexity of the decision to be made. At the time of writing the A-10 vs F-16 debate had expanded to include the reengined A-7F, reengined A-10, AV-8B Harrier and F/A-18. US defence contractors, facing a bleak future insofar as new contracts go, have responded promptly to this situation. General Dynamics, in conjunction with GEC in the UK and Texas Instruments, have trialled an F-16B aircraft fitted with a helmet cued Flir turret. The Texas Instruments Falcon Eye Flir turret tracks the pilot's line of sight and the image viewed by the Flir is projected upon a GEC Avionics Cat's Eyes night vision goggle eyepiece combiner glass mounted on the helmet. As the turret projects from the upper forward fuselage, its perspective is much like that of the pilot providing a very natural view of the outside world. This is very relevant for CAS work, where the pilot must often turn about the target while keeping it in sight. Interdiction systems such as Lantirn are cumbersome in this application, as they are designed for the typical interdiction profile of a straight run in followed by a pop up, roll inverted to acquire the target, roll level and shallow dive bombing run to weapon release (usually employing CCIP delivery mode). While the Flir turret is the principal sensor, a Martin Marietta Pathfinder forward facing navigation Flir is also fitted, it projects a forward view image on the pilot's HUD. Additional nav information is provided by a British Aerospace Terprom terrain profile matching covert navigation system, which much like cruise missile nav systems compares radar altimeter readings with stored digital map data. 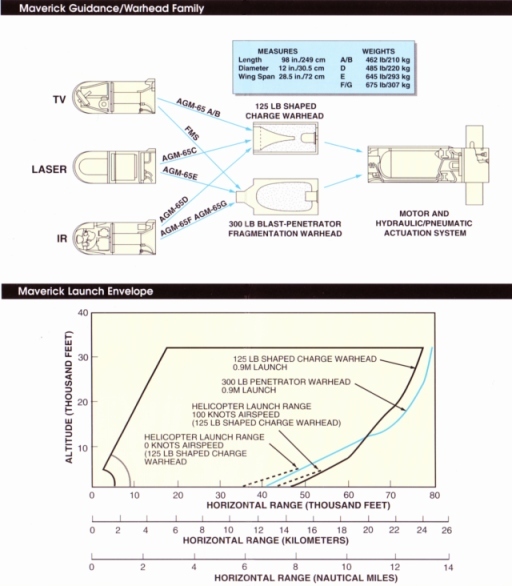 The final major element in the mission suite is the Rockwell-Collins Automatic Target Handoff System (ATHS). The ATHS is a datalink receiver which places a box symbol on the HUD (or helmet combiner glass) over a target designated by a forward air controller on the ground or in a suitably equipped scout helicopter. This removes any ambiguity in the identification of targets to be attacked. The single modified A-16B airframe has been extensively tested by GD and also participated in a series of TAC flight demonstrations of the F-16C in the CAS role conducted in late 1988. Seven F-16Cs were fitted with Pave Penny laser spot trackers, painted green and flown in 268 sorties at Nellis and Ft. Hood, directed by ground controllers and OV-10, OH-58D and AH-64 FACs. AGM-65D missiles and GPU-5/A 30 mm gunpods were carried but not fired although live Mk.82 and cluster bombs were dropped. In a parallel development program, the USAF reconfigured in 1987 its well used AFTI F-16 development prototype for CAS development work. The AFTI (Advanced Fighter Technology Integrator) airframe is the A-6 preproduction airframe fitted with canards, a thickened dorsal spine and a digital flight control system; it has logged over a thousand hours since 1982 evaluating the tactical performance of integrated flight and fire control systems and unconventional manoeuvring techniques, eg direct lift and sideforce control. A key system in the ground attack tests was the AMAS (Automated Manoeuvring and Attack System) which allowed the aircraft to aggressively manoeuvre during the terminal phase of a bombing run, thus foiling the linear and quadratic fire control prediction algorithms used by AAA and SAM fire control systems. Initial CAS tests in the AFTI evaluated the performance of the Rockwell-Collins ATHS, a Westinghouse Flir/laser targeting system and a Harris digital terrain map with a Sandia inertial terrain aided nav algorithm, these tests were followed by evaluation of the GEC tercom nav and three ground collision avoidance systems. In addition, TAC evaluated its Litton Digital Communications Terminal (DCT) system which was designed to transfer messages between FACs, ground observers and ground based command posts. The DCT is functionally similar to the ATHS although using different communication protocols between its computers, unlike the ATHS it was not initially optimised for FAC to CAS air-air communication. At the time of writing the AFTI was being refitted at the GD Fort Worth facility with a current Block 40 F-16C quadruplex digital flight control system and having its canards removed. Subsequent testing will involve the GEC/TI Falcon Eye Flir, the intention is to test a fully integrated suite using AMAS, night vision equipment and ATHS/DCT. The A-7 upgrade program involves reengining the ANG's fleet of about 330 A-7D Corsair strike aircraft with afterburning F100-PW220 or F110 turbofans (a further 400 Navy A-7Es are currently being placed in storage). The TF-41 (Spey) powered A-7D has a poor thrust/weight ratio which restricts both acceleration and sustained turn rate performance, thus leaving the A-7D vulnerable to SAM attack particularly during run in to the target. Increasing the thrust/weight provides the ability to pull high G turns at combat weights, while also allowing the aircraft to egress a target area at transonic speeds. In addition the added power improves payload/range and short field performance. The upgrade program is currently confined to two prototypes, which have been modified from A-7D aircraft. The modifications are not trivial. Fuselage plugs are inserted forward and aft of the wing, the wing is reskinned, the aft fuselage is redesigned to accept either new engine with an external cowl for the afterburner nozzle and the tail surfaces are redesigned. The vertical tail is taller to compensate for the increased forward fuselage area and the stabilators are swapped left to right to provide 5.25 degrees of anhedral. In addition small strakes are added to the wing root to improve high AoA performance, the flaps are improved to reduced approach speeds and spoilers are added to improve short field performance. The new A-7F is thus much closer in performance to its ancestor, the F-8 Crusader, with the ability to sustain 650 kt speeds and 6G turns at 0.9M which compares well against the 539 kt/4G at 0.7M performance of the A-7D. The added thrust is most apparent in acceleration performance, where the A-7F accelerates from 400 to 550 kt in 15 sec, six times faster than the A-7D. While the A-7F is heavier with an empty weight of 23-24,000 lb, its fuel capacity is increased to 17,800 lb, payload to 17,380 lb and MTOW to 46,000 lb (cf 42,000 lb for A-7D). The penalty is in a reduced fatigue life of 5,000 hr which still provides a useful life of 20 years at current usage rates. The reengining of the A-10 is another interesting alternative, although it is unlikely to substantially improve the survivability of the aerodynamically limited airframe. The proposal revolves about the replacement of the 9,065 lb TF-34 fans with nonafterburning 11,000 lb F404 low bypass fans. It is however much cheaper than building more F-16s or rebuilding A-7s and is strongly favoured by the US Army. The remaining alternatives, the AV-8B and F/A-18, are unlikely to be successful due to acquisition cost and life cycle cost; the USAF would have to develop additional logistical infrastructure to support these types. Another player in this game, albeit an outsider, is Scaled Composites Inc, who are testing a low cost 6,200 lb gross weight mudfighter designated the ARES (Agile Responsive Effective Support). The ARES is a 300 kt twin boom canard design fitted with a GAU-12/U 25 mm gun and powered by a 2,950 lb JT15D-5 turbofan. Funded internally, the design may not be particularly successful even if it flies well, given the position held by TAC. The outcome of the CAS/BAI debate will be known by the middle of this year, it will most likely be a case of the F-16 against the A-7, with the A-7 having a slight advantage in cost and from the Army viewpoint, specialisation. To the Australian observer this whole issue underscores the difficulties in developing an appropriate force structure for Army support missions. Air forces by their nature have a commitment to air superiority and interdiction and will thus seek technology which supports these roles, the multirole fighters of the seventies and eighties underscore this trend. With aircraft usable in both air superiority and strike operations, an air force can concentrate its resources as most appropriate at the time. End users of air force services, such as army land forces, can however be disadvantaged if aircraft are unavailable through diversion to other missions and will always have an interest in specialised airframes which are unusable elsewhere, as this secures their availability. A-10A. Big, green and mean, the large A-10 is the mud basher's dream. Armed with a huge 7 barrel 30 mm Gatling gun and up to 16,000 lb of stores, the heavily armoured A-10 can destroy any known armoured vehicle. With docile handling and superb low speed turning performance, the A-10 is optimally suited for battlefield close air support, operating from rough forward operating bases. The deployment of newer SAM and AAA systems has however put its survivability in doubt and the USAF is looking at alternatives (© 1984 Carlo Kopp). F-16C. The USAF's preferred replacement for the A-10 is a role configured A-16 airframe with night vision equipment and a pod mounted derivative of the 30 mm GAU-8 gun. The F-16 airframe is the best possible choice from a susceptibility viewpoint as it is fast and manoeuvrable and thus difficult to hit, however once hit it is likely to fall victim to far less damage than armoured aircraft such as the A-10. It is much like the F-16C a multirole aircraft and would probably end up sharing its workload between CAS/BAI and counter-air operations (US Air Force). AH-64A. CAS missions flown by TAC's A-10s are usually coordinated with attacks by missile firing Army helicopters such as the AH-1S and AH-64. Typical tactics will involve the helos ambushing large armoured formations, in order to lay down defence suppression fire with rockets and guns to immobilise as many vehicles as possible. Once the SAM/AAA cover of the armour is stripped away, the A-10s will arrive on the scene and destroy armour with electro-optical Maverick missiles, laser guided bombs and 30 mm fire. The helos typically operate below tree top level using terrain and foliage for concealment, with the A-10s flying from treetop level up to 500 ft AGL (Hughes). OH-58D/ATHS. The ubiquitous OH-58 plays a major role in USAF/US Army CAS missions as it scouts for hostile forces. Flying at nap-of-the-earth altitudes the OH-58D will expose only its Flir/TV/laser turret to locate and track hostile forces. Once these are found, the turret laser is used in conjunction with onboard nav equipment to pinpoint the target coordinates, which are then forwarded via ATHS datalink to inbound AH-64 helos and fixed wing CAS aircraft. Inset: Rockwell-Collins Automatic Target Handover System, a datalink which transfers target parameters from FAC platforms and ground observers to attack helicopters and aircraft (Bell).